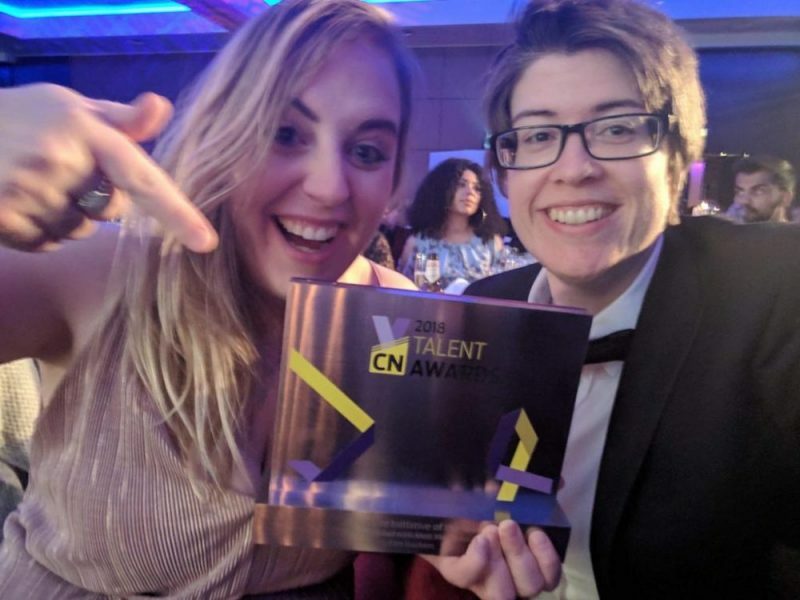 Fast Trackers was announced as the deserving winner of the Graduate Initiative of the Year at the 2018 Construction News Talent Awards. In a prestigious ceremony held at the Park Plaza London Riverbank on Wednesday 21 November, organisations from across the construction industry were honoured across 15 categories. Following a rigorous judging process conducted by HR and talent experts from inside and outside the industry, Fast Trackers was awarded Construction News Graduate Initiative of the year, the project sees Greater Manchester Higher, Higher Horizons and Future U (from the National Collaborative Outreach Programme (NCOP)) working alongside Network Rail and Mott McDonald. The project began in June 2018, with 140 young people visiting London from the North-West for a three-day residential as part of a larger programme. Hailing from Crewe, Liverpool, Manchester and Preston, the participants were selected from areas of the country with historically low higher-education uptake in an effort to shift their attitudes towards apprenticeships and university. Fast Trackers is a joint venture, which was born out of an increased demand for engineering skills in the workforce. Passenger numbers have doubled since 1996 and will double again in the next 25 years, and although Network Rail already employs over 36,000 people, it is clear that the network and the number of people who work hard to maintain it needs to increase alongside to enable this. The benefit to the students of Fast Trackers is already clear at this early stage, with exit surveys showing that 97% of participants rated the residential element as ‘good’ or ‘excellent’ and a 20% rise in positive attitudes towards pursuing higher education. Going forward, the Fast Trackers 2019 programme hopes engage over 1000 learners nationally.